Welcome in the Jungle with Prehistoric Dino Hats showing T-rex. 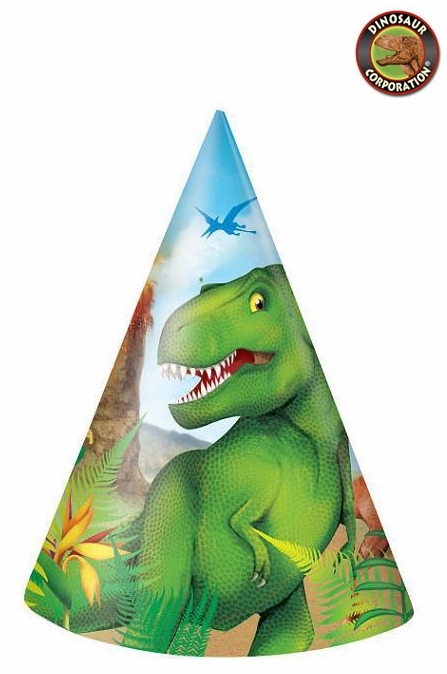 A perfect match to our dinosaur birthday prehistoric tableware. This hat has a soft elastic band to keep the hat comfortably on your head.